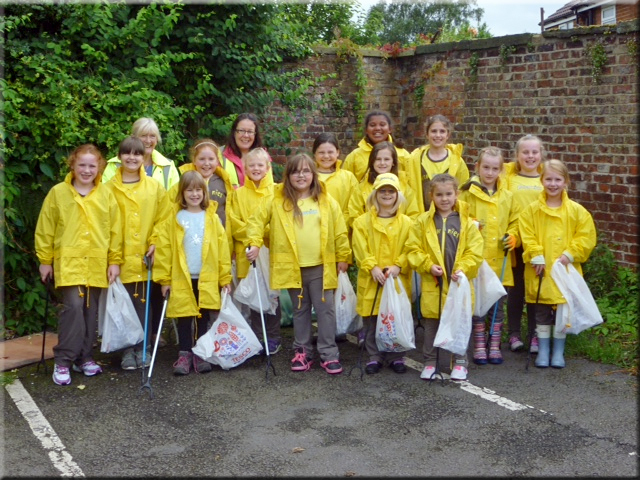 2nd Cledford Brownies joined MCT for their annual litter pick and had a very productive evening. The Brownies were very enthusiastic and are full of regret that people still drop litter. They promised to spread the message that it is unacceptable to drop litter and that it is also in all our hands to look after our town to keep it clean and tidy by using the bins or by taking litter home. Karen, the unit leader commented, "Thank you for giving up your time to take the Brownies on 11th July, they all thoroughly enjoyed themselves". Just a quick reminder that our next litter pick will be this Saturday (23rd July) – meet at 2pm at Kings Lock Car Park. Here’s hoping that this lovely weather will continue so that we can litter pick for an hour in the sunshine. Just a quick reminder that our next litter pick will be this Monday (11th July) – meet at 2pm at Morrisons Car Park.